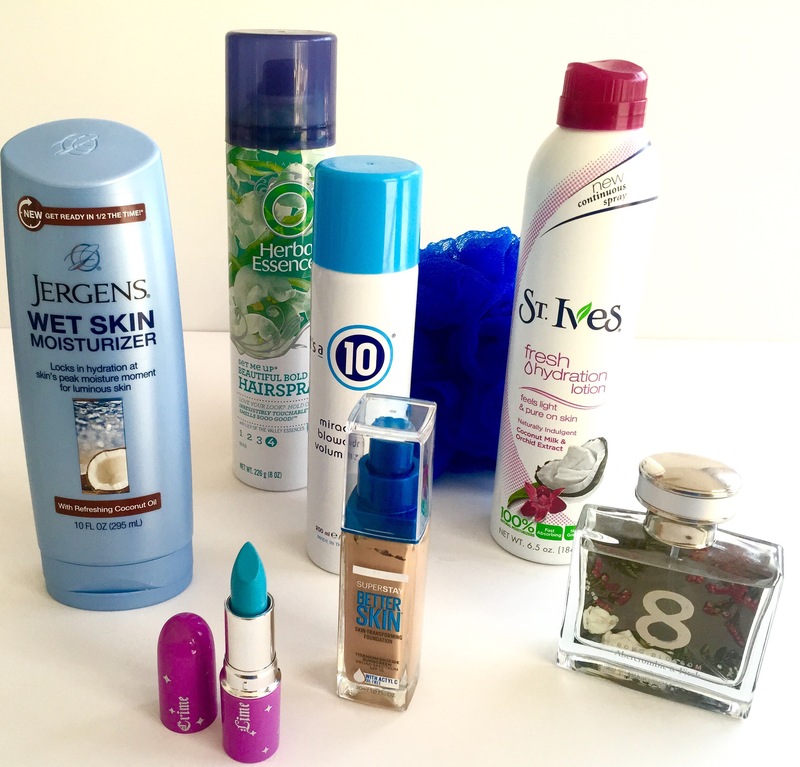 From lipstick to shower products, these are top of my list right now. The quirkiest item on my list that I totally love and I got because it’s my fav color of all time is the Lime Crime Unicorn Lipstick in the “No She Didn’t ” shade of blue. Love the in shower moisturizer by Jergens Wet Skin Moisturizer- smells awesome and my skin is soft. I got mine at CVS. Great hair volumizer and nice scent is the “it’s a 10” miracle blow dry volumizer. I found this at Target. I’m forever trying hair sprays that have a super hold and great scent but not too expensive. Herbal Essences “Set Me Up” Beautiful bold hold hairspray really does the trick for me and keeps my hair in place. I found this at Target. St.Ives continuous spray Fresh Hydration Lotion is awesome! Smells so good and my skins looks and feels amazing. I got mine at Marshalls. The Maybelline New York Superstay Better Skin formula works well on my skin right now. My foundation changes with the weather. I got this at CVS. Love this perfume I found at Abercrombie & Fitch. “8 Boho Blossom” Obsessed with it!! If you have or are going to try any of these let me know how you like them. You should try Jason products and see how you like them. Great idea- I will! Do you have any you recommend? Toothpaste, shampoo, conditioner all gluten free! Great suggestion – will check them out- and gluten free is awesome! !